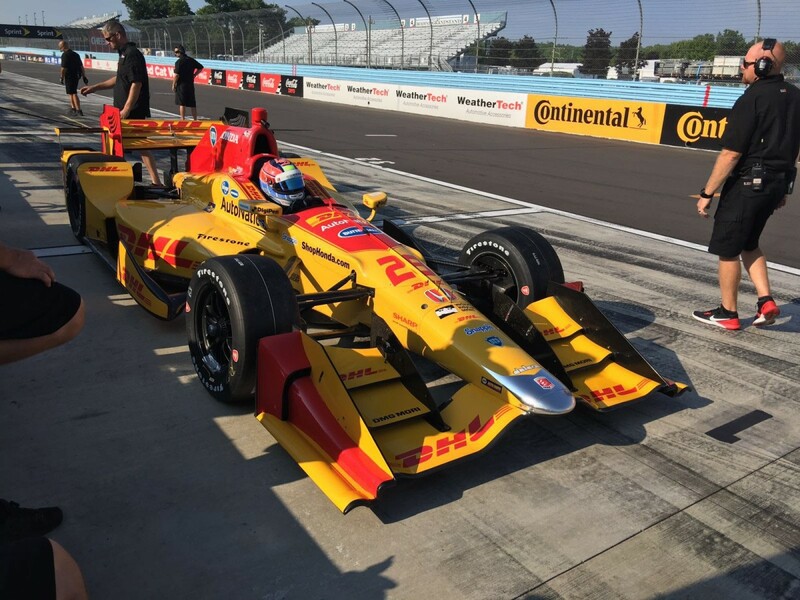 WATKINS GLEN, NY, USA 12th August 2016 – Dean Stoneman took to the 3.4-mile circuit of Watkins Glen International yesterday to take part in a Verizon IndyCar Series test. For Stoneman it was the first taste of driving a IndyCar…and he impressed, finishing the day half a second quicker than the other Indy Lights drivers participating in the test, most of who had tested before. Dean Stoneman, who borrowed the No. 28 DHL car from 2012 Verizon IndyCar Series champion Ryan Hunter-Reay, clocked the fastest time of the Indy Lights drivers with a best time of 1:27.14 within his 38 laps around the 11-turn course. The test session was cut short due to heavy rain, reducing the opportunity for Stoneman to shine even more in his IndyCar debut. The test also proved to be a good preview for Watkins Glen The Indy Lights team will begin Round 16 at The Glen Saturday, September 3 at 1:35 p.m. ET with Dean looking to re establish his championship push.